Carrozzeria Scaglietti was an Italian automobile design and coachbuilding company active in the 1950s. It was founded by Sergio Scaglietti in 1951 as an automobile repair concern, but was located across the road from Ferrari in Maranello outside Modena, Italy. Scaglietti gained Enzo Ferrari's trust and respect both through his bodywork and design skills and for providing a retreat for Dino Ferrari as a youth. Scaglietti is credited with the "headrest" bump present on most racing Ferraris of the 1950s and 1960s, a design at first despised by Enzo but championed by Dino. The company's 1958 250 Testa Rossa, with its Formula One-inspired pontoon fenders, is one of the most famous Scaglietti designs. In the mid-1950s, Scaglietti became the Carrozzeria of choice for Ferrari's racing efforts. Many sports racing prototypes were designed and manufactured at their facility. All those exclusively designed by Scaglietti carried the Scaglietti & C. badge while cars built to outside designs didn't. Several of Ferrari's most coveted models such as the 250 California, 250 GTO and 250 Tour de France were built by Scaglietti to a Pinin Farina design. Today, the former Scaglietti works is owned by Ferrari and used to produce the aluminum F430 and 612 Scaglietti cars. A special version of the 456, the 456M GT Scaglietti at the time was named in his honour. Then in 2004, Ferrari officially unveiled a new 2+2 GT car, although designed by Pininfarina, the car was to be named the 612 Scaglietti. It was built between 2004 and 2010. 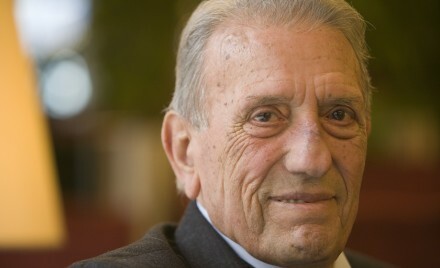 Scaglietti died at his Modena home on 20 November 2011 at the age of 91. Follow The Cortile's board Carrozzeria Scaglietti on Pinterest.